I’m so proud of myself for regularly keeping up with this year’s Living Arrows. Here we are on week 4 already! 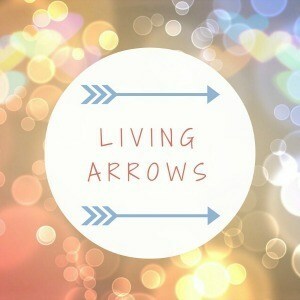 You can catch up on last week’s post here – Living Arrows 3/53. Last week both my husband and myself had a week off work. It’s the first time we have had decent time off together since last October (Christmas we only had two days together). So we started off the week sorting out the garage and unpacking boxes we hadn’t got around to when we moved last June. Finding all the baby stuff out that we had packed away. From Wednesday onwards it was a few days of fun! Well between the heavy Cornish rain showers! We did manage to get to our park which is right down the road from where we live. It was fun as we were the only ones there! 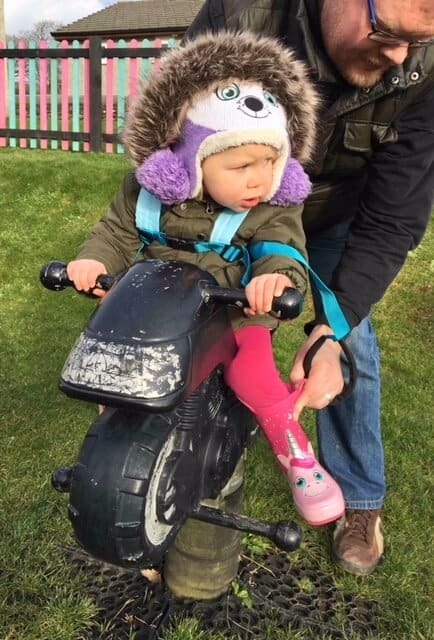 Baby girl loved playing on the swings and she had her first go on the little motorbike. She wasn’t too sure about that. I suppose with both of us with her all week we have noticed her speech skills develop vastly. New sentences are popping out of her mouth and plenty of new words. I have enjoyed every moment with her this week and know I will be dreading going back to work today. I suppose the good thing to look forward to is that I only have 6 weeks of work left until my maternity leave starts. Then she will have her mummy all the time.